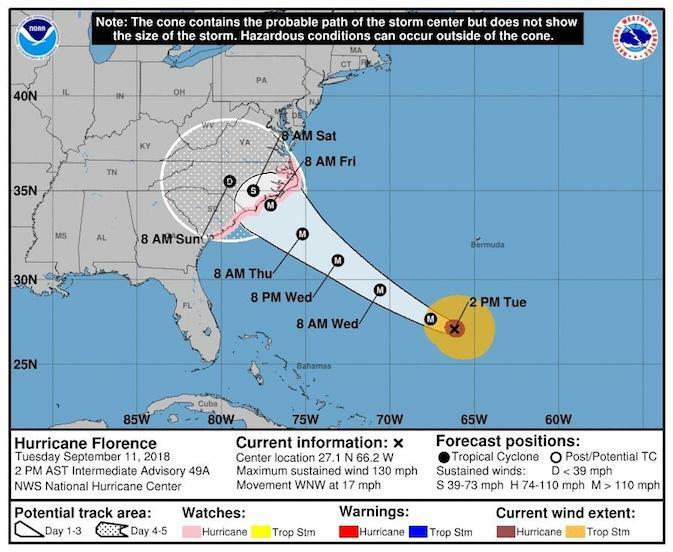 Say what you will about global warming, climate change and other hemispheric anomalies, but there’s no question in anybody’s mind that a Category 4 hurricane is making a direct bullseye run at Wilmington, N.C., and The National Center for Outdoor & Adventure Education (NCOAE) headquarters facilities. The good news is that our staff have all become bona fide experts in matters related to risk management. Our co-founders Zac and Celine Adair — along with the rest of our hometown administrative team — are hard at work preparing our coastal headquarters for a direct hit from this latest storm which you can track online through the National Hurricane Center. Here on our campus, NCOAE staff has spent the last 36 hours preparing for the worst possible outcome — a direct hit. Buildings have been boarded up, all outdoor furniture and materials capable of being turned into life-threatening projectiles have been removed from the property, which ‘as the crow flies’ is located just a mile from the Carolina coastline.